Gang wars spread to the city! Ahhhhh .... The golden age of the Beat them Up. Late 80 ... 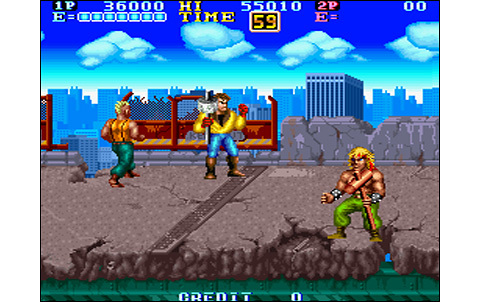 Double Dragon, Renegade, Ninja Gaiden... all those great titles that made happy so many children over the world, like me, weaned with arcade games since early childhood. 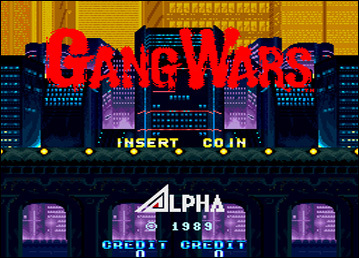 Not so much might have played Gang Wars, by Alpha Denshi: the game was quite rare in arcades and I personally had the chance to encounter this cabinet, when I was only twelve years old. I was walking the edges of Southtown beach by a sunny day of June, while I suddenly found myself acing this strange object, spitting strong strange voices ... The result? Dozens, what am I saying... Hundreds of five and ten francs coins, sunk to play like crazy with my cousin. Brainwashed ... and it was so cool! 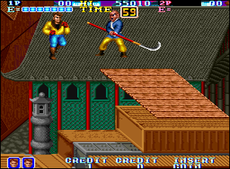 At the time, the quality of the game was impressive. Especially since the game had very good assets in terms of gameplay ... so we returned there almost every day. 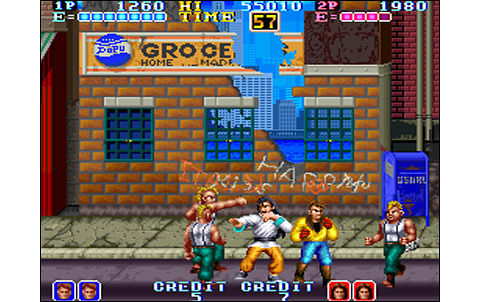 Gang Wars puts you in the shoes of two tough guys, whose girlfriend has been kidnapped by thugs. Does it reminds you anything? Nevermind the originality, once more! 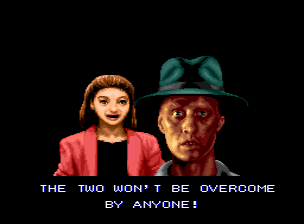 Anyway, in Beat them Up games, you don't need to have a good reason to break some jaws! 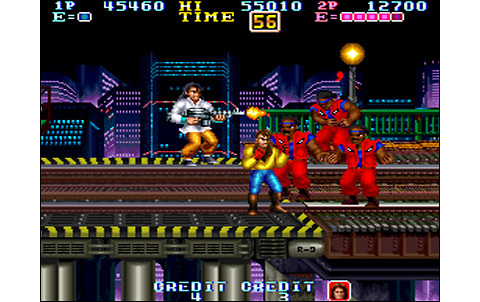 The game is divided into five varied stages, where you face different gangs (low floors hooligans, neo-nazis, chinese mafia and so on) and therefore will be entitled to a wide variety of enemies! 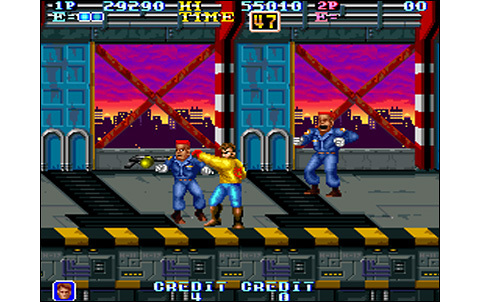 The game is played with three buttons: punch, kick, jump. Combining two buttons can result in an air attack, or a low attack. 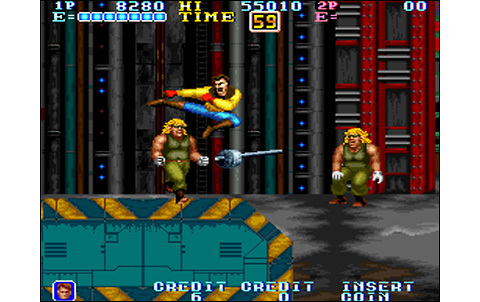 Each character can also use throws to finish opponents. 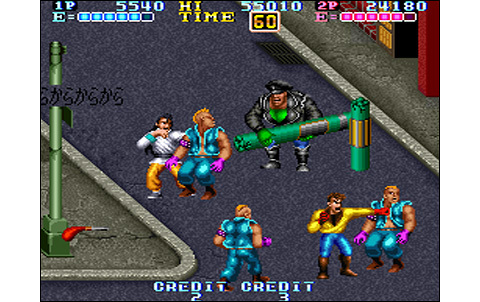 The weapons are very varied: golf club, bottle, machine gun, flame-thrower, nunchaku, pylon... I probably forgot some! 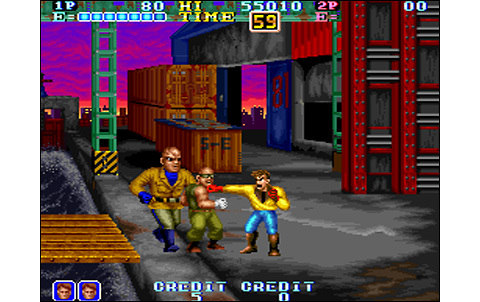 It's so varied that we never got tired of beating those thugs, provided that with all this variety the game avoid the repetitiveness: players were always wondering what they're gonna find in the next level. The game features another great idea. At the end of each stage, depending on your performance on ripping jaws and breaking legs, you'll be able to upgrade the three different skills of your warrior: strength, speed and stamina. 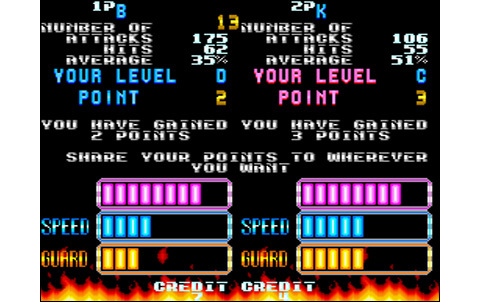 Two, three, or four points are available, depending on your last performance: it's up to you use it as you wish! This is an interesting and rarely seen feature in a BTU. Two players cooperative play is as always in this kind of game, very, very fun. The lifespan of Gang Wars is far from a Final Fight, as well as its realization. 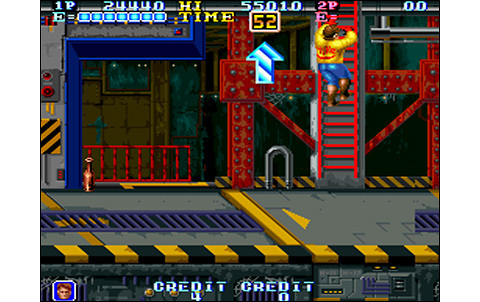 However, a gameplay at least as fun awaits you. About the graphics, they are just making Par. 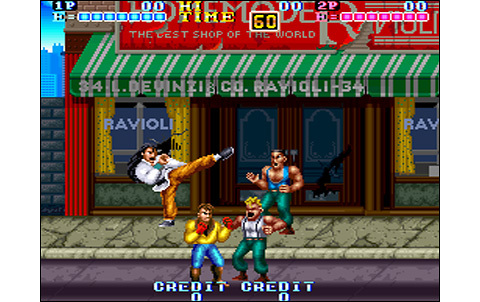 Nice, but not more remarkable than any other good fighting game at this time. 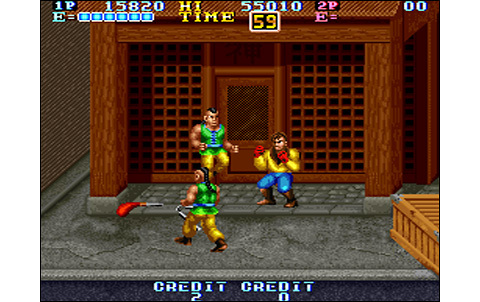 Besides, the animation is excellent, with characters that move and strike quickly (even better than Double Dragon) featuring numerous animation steps. Music and sound are doing good. 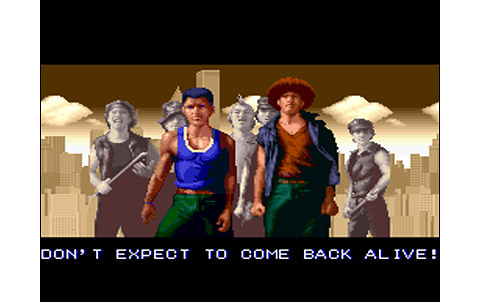 A very honorable realization, certainly not revolutionary, but largely worthy of an arcade game of this era. 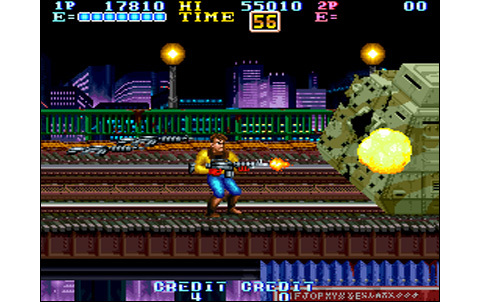 Plus, the enemies are more varied than in any other game of its kind of the same period, and it's rare enough to be reported as well. The two characters we can embody, depending on you're P1 or P2, are different in their style of fighting, and one can fight with weapons that the other can't use, and vice-versa ... The coop play is pretty cool, and sometimes really helpful against certain Bosses. Speaking of it, they're also quite fun to rust out when doing it in team. Pay attention not to let escape the final boss, who is watching the arrival of his helicopter! 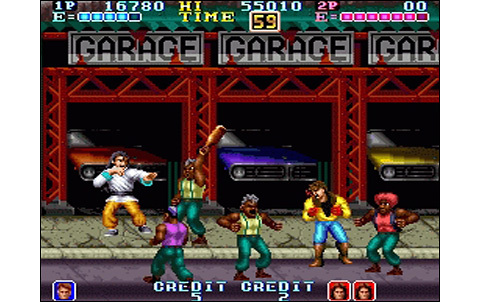 Gang Wars is pure fun concentrated in a very nice Beat 'em Up, unfortunately little known of crowds. 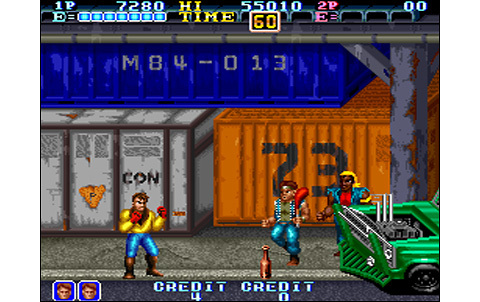 On occasion, test the game on Mame, I can guarantee you'll have some very good times. 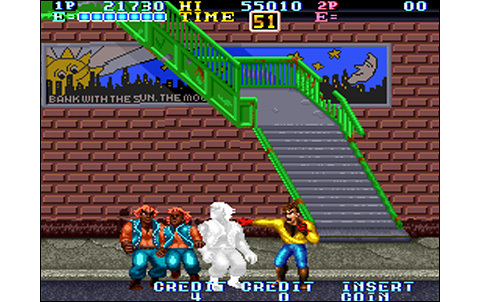 Looking more like Double Dragon than Final Fight, ennemies and sets are in the average standards of this era. Colorful and various for each one. Fast and smooth, hero's moves are pretty well decomposed and enemies are decent. 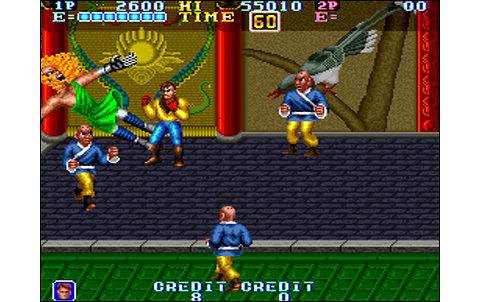 Catchy themes fit nicely the gang, kung-fu fighting atmosphere, with numerous vocals and excellent impact noises. About half an hour to clear it, it's a bit longer than Double Dragon; anyway its replay value is good, for its evolutive characters and the fun gameplay! Punches, Kicks, jumped ones, crouched ones, numerous weapons... Possibility to upgrade hero's capabilities... Excellent! A little bit short, but having a very fun and taking gameplay, Gang Wars is an amazing Beat them Up. 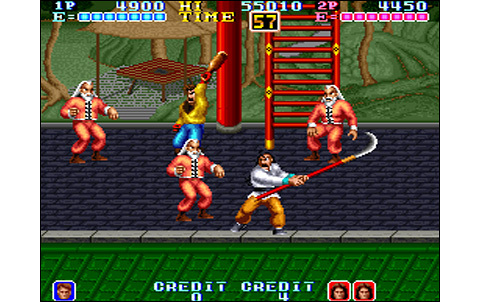 Unfortunately, ADK never released a sequel to Gang Wars on the Neo Geo, as the title coming the next year from the editor is Ninja Combat. This one differs frankly despite certain recurrents enemies or weapons.